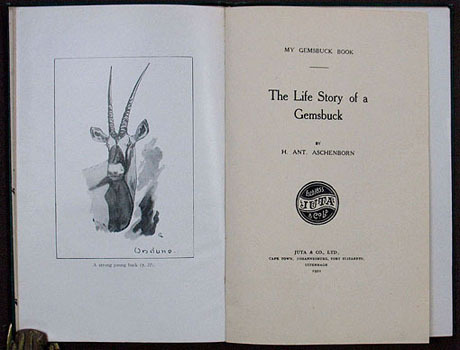 The Life Story of a Gemsbuck. Capetown: Juta & Co., Ltd., 1921. ￥2,100 (税込み) 21.9 x 14.5 cm. 26 pp., with 16 plates and many text illustrations. Original green cloth lettered and stamped in black, covers creased, loosed.